The following article was first published in Jewish Journal. Jeff Brand, of Swampscott and Marblehead respectively, participating in the Ramah Israel Bike Ride fundraiser to support special needs camp programs was a no-brainer. Both are avid riders, both love Israel, and both have sons who attended the Tikvah program at Camp Ramah in Palmer as youngsters and, last summer, as adults. Yellin, 59, who rode 257 miles, said the May 12-19 trip was an opportunity to reconnect with some of the people he had met when he did the ride in 2013. “The ride was like a reunion for me. The bond was amazing,” he said. The Ramah fundraiser tour is five days of riding and/or hiking covering up to 250 miles. Riders pay a registration fee and commit to a minimum fundraising level. Ramah covers all costs in Israel during the ride. This year, 70 bikers and 40 hikers raised over $420,000 towards their goal of $450,000. Fundraising will continue through the end of June. Brand, who will turn 70 in two weeks and logged 240 miles, also found the biking hard, but the whole experience very uplifting in light of why he were pedaling so hard in such heat. 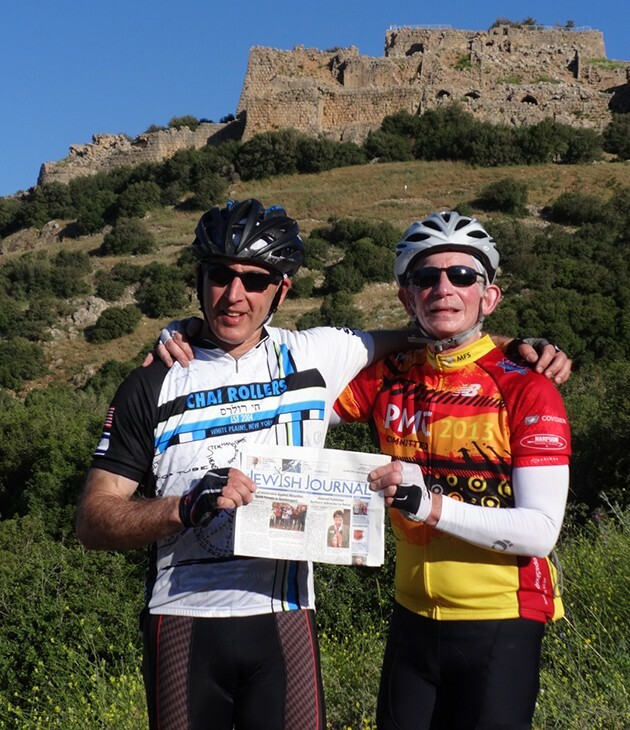 “It was an amazing cycling experience, but it was also a wonderful Jewish experience,” he added. Both Yellin and Brand enjoyed the opportunity to raise money for a cause dear to their hearts and look forward to participating again in 2017, although training during a New England early spring can be difficult. “It was a challenging ride. The first day, there were two climbs that were the hardest I had ever done in my life — up until the next set of climbs came,” Yellin said with a laugh. For more information and to donate, visit ramahbikeride.org.